If you’re looking for something to fight depression, asparagus is a solid choice. They’re also easy to prepare because they can be quickly roasted in the oven. 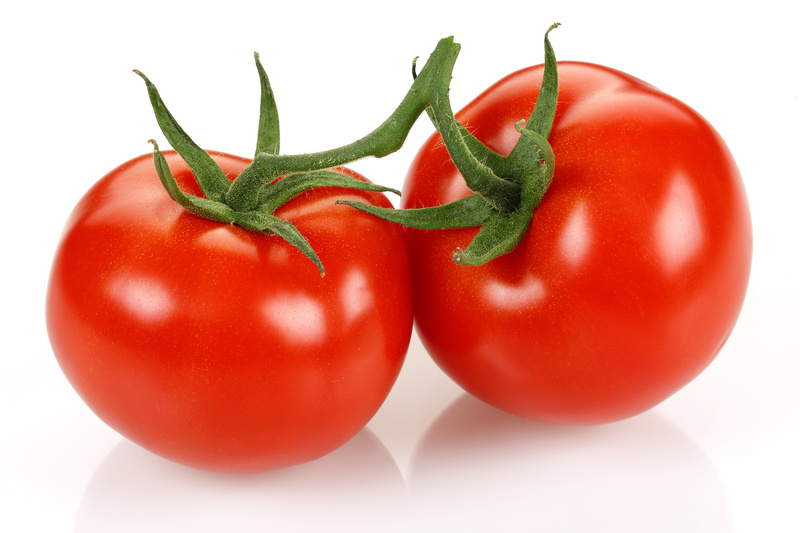 They raise low folic acid levels (linked to depression) and contains vitamin C, which also helps ease depression. If you’re the baking type, this is a perfect superfood to add some balance in your diet. Blueberries prevent aging and cell damage through phytonutrients. Since their antioxidants fight aging, it can reduce age-related problems, such as Alzheimer’s disease and dementia. They also protect against cancer. A lot of hype seems to be around kale. Isn’t it just a trendy food for health nuts? Actually, maybe not. Kale has become a superfood for a reason. 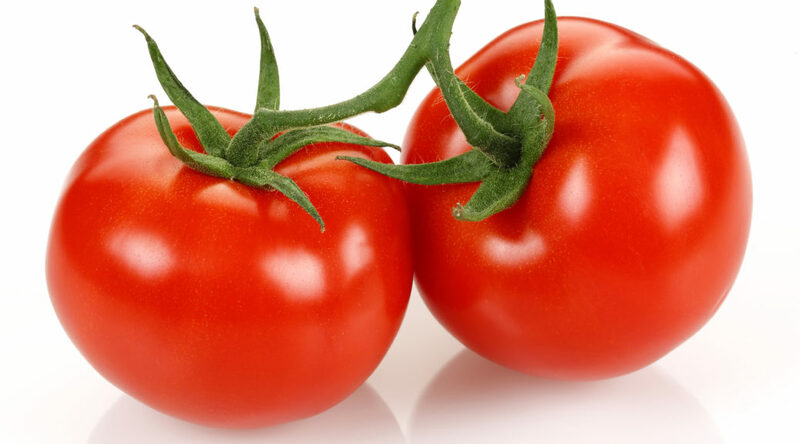 It contains phytonutrients, which prevents cancer. 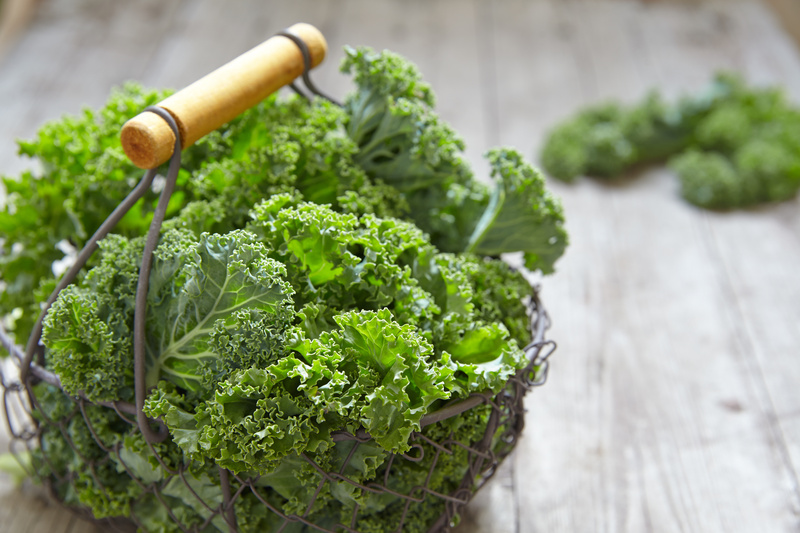 In addition, scientists suggest phytonutrients in kale tell the liver to produce enzymes. What does this mean? These particular enzymes can help stabilize substances that potentially cause cancer. Have you ever wondered why horses eat oats? Their sensitive stomachs need something that’s easy to digest, but also healthy and tasty. Most of us could use that as well. These natural, whole grains are full of fibers. They’re also rich in magnesium, potassium, and phytonutrients. Oats also have a special fibers known for reducing cholesterol and preventing heart disease. 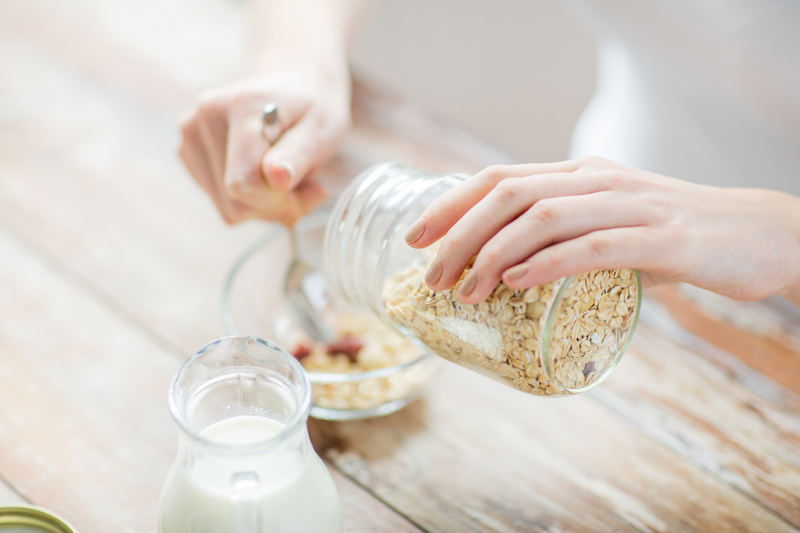 In fact, research suggests that eating whole-grain oats can reduce the risk of type 2 diabetes. Plus, you can add your dark chocolate chips to oat cookies for an easy, healthy alternative to typical holiday desserts. Are your New York employees finding the snacks and refreshments they want when they visit your break room? If not, call Healthy Vending at 917.572.3671 to learn more about healthy break room options. simply because you are skipping breakfast. There are many benefits to eating breakfast. For example, you are less likely to overeat by making breakfast a priority in your day. It also quickens your metabolism and increases your energy throughout the day. This makes sense because when you are sleeping, you are fasting. “Prolonged fasting,” Leah Cahill warns, “leads to increases in diastolic and systolic blood pressure, blood concentrations of insulin, triglycerides, free fatty acids and LDL-cholesterol, and to decreases in concentrations of HDL-cholesterol.” In an attempt to correct this, you are more likely to make unhealthy choices as your cravings, leading to obesity. Of course, obesity comes with a slew of problems, such as infertility. Fasting for extended periods of time can be stressful on your body – even life-threatening. Clearly, breakfast is worth implementing into your daily life. 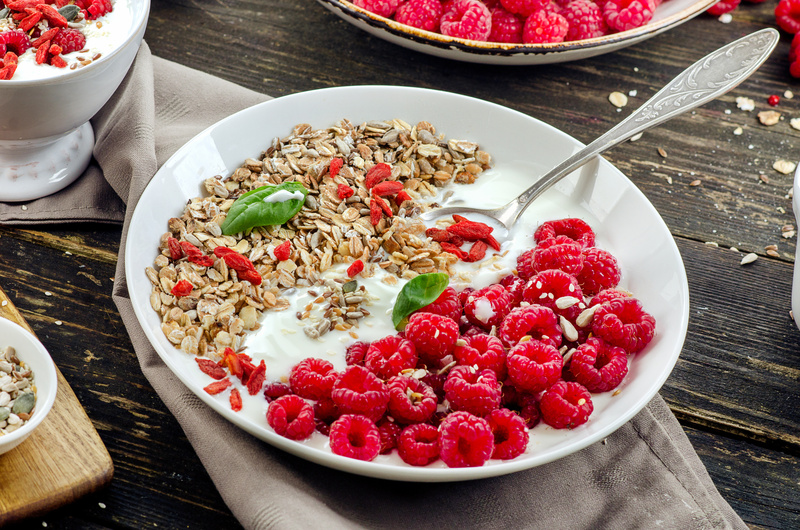 If you are looking for breakfast options for your New York breakroom, call Healthy Vending at 917.572.3671 for a free, no obligation consultation. Millennials are doing many things differently from their predecessors, especially in New York City. One of the biggest changes is their food choices. This should not be surprising, though, considering the lifestyle of millennials is very active. They are constantly on-the-go, squeezing as much as they can into a small amount of time. In a recent, nationwide survey by the Private Label Manufacturers Association, they discovered millennials’ love for food. Healthy foods and prepared, portable foods were at the top of their lists. The study included 1,838 shoppers between the ages of 20 and 29. Of the shoppers, 931 were women, while 908 were men. As one of the biggest surveys PLMA has commissioned in the United States, it’s probably one of the most accurate. The demographic group represents about 15% of the total population (roughly 50 million Americans). According to the study, half of the consumers do not have a set schedule for meals. More than half like to snack throughout the day (62%) and take breaks to eat when they’re hungry (56%). In fact, sometimes they’ll snack more than have actual meals, such as lunch. 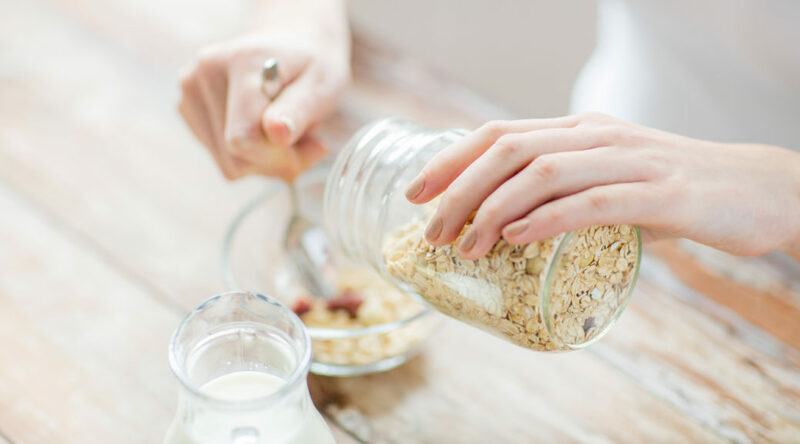 Various reasons for snacking rather than eating included the following: planned on eating later and needed something to hold them over, rushed, or simply too busy. In fact, many ate on the go, while working, or in the car. Millennials are also very loyal, especially when it comes to their food source. For instance, nine out of 10 regularly grocery shop in only one or two stores. A slim 3% shop at four or more. In addition, they visit their food store a minimum of once a week. They will also spend 30 minutes to an hour each time they shop. The study refers to millennials as a “generation of nibblers and experimenters,” which seems to be an accurate summary. They love to shop at farmers markets, kiosks, push carts, and food trucks. Whether they eat at home or away, a full meal or small snacks, nearly all of them want fresh food. 35% desire fresh baked bread, while 48% search for fresh raw vegetables or green salads. Furthermore, 57% of them almost always reach for fresh fruits. 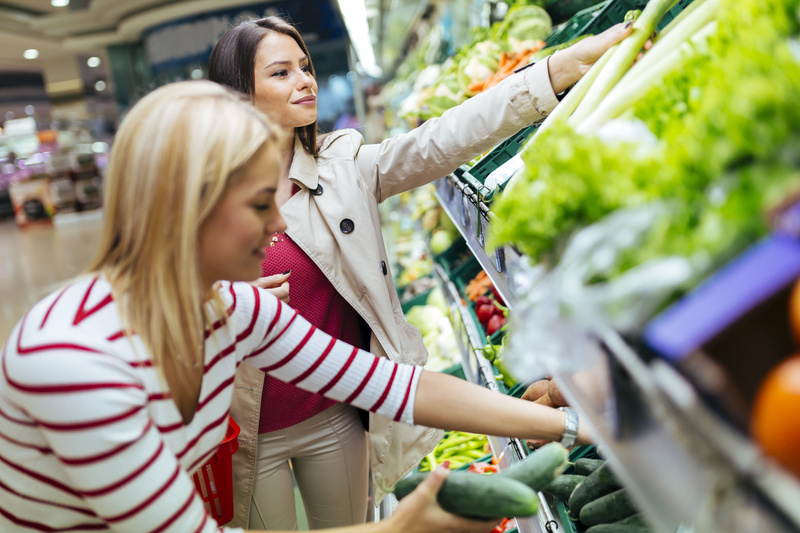 Access to fresh food is important to millennials for several reasons. For 42%, it’s healthy. That’s why they choose healthy foods. But others eat healthy food for pleasure (36%), nutrition (39%), and energy and stamina (34%). They’re also strongly opposed to certain products in their food. One in four say it’s important to avoid high fructose corn syrup, as well as GMOs, hormones, and antibiotics. As a result, millennials are aware of their ingredients in food. Three of four read labels on products for nutrition reasons, while nine out of 10 are aware of the ingredients in the food products they eat. An overwhelming 86% are aware of brands and 73% say they’re aware of the makers or producers of their food. Food is equally sacred as it is embedded into their everyday lives. They are always snacking or eating on the go, but recognize its importance in different settings. While food is important for sustaining them through the work day, it has to fit in with their schedule. The schedules of millennials is already fast-paced. As a result, they want the energy to keep going, while also enjoying something fresh. Millennials are changing the way America eats, but in a healthy way. The upcoming trend for healthy food has also led to new packaging sizes. Consumers are more aware of ingredients in food production, which also makes them more cautious in their choices. “We’ve seen an increasing polarization of pack sizes in conventional snacks, as larger formats are marketed for shared consumption,” said Karine Dussimon, senior packaging analyst at Euromonitor. “The aim of these new formats are to convey greater portion control and lower the guilt of buying a treat while still boosting impulse purchase,” she added. In other words, more information to the public has led to a bigger shift in food consumption. In particular, consumers have been making healthy choices. 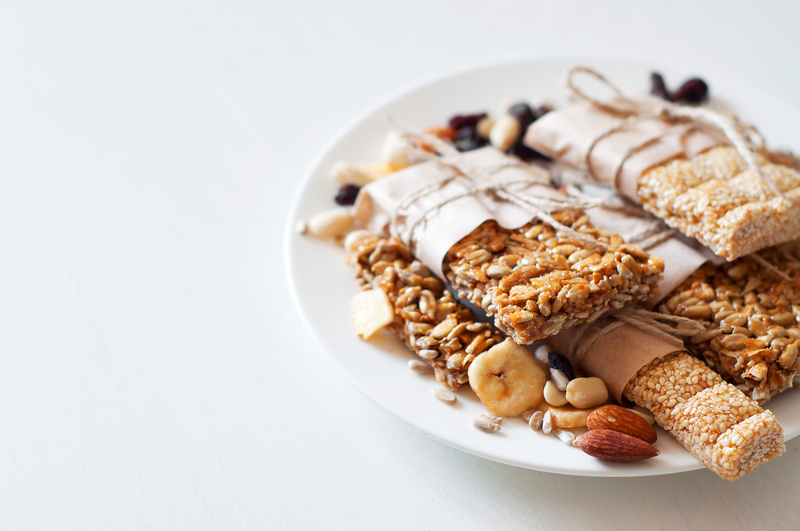 Euromonitor predicts an increase in new products within the snacking market. The demand for healthier food has grown, so products that will meet that demand will certainly excel. Euromonitor’s presentation is only a small peek into the future. 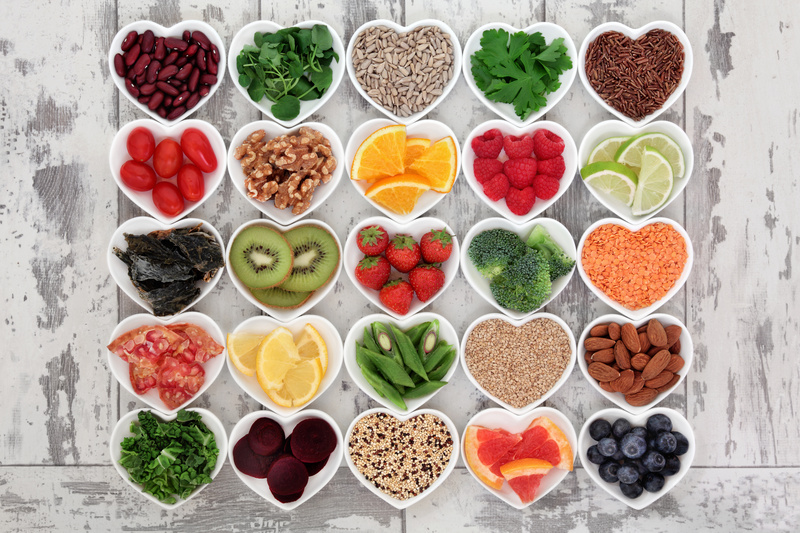 Consumers want healthier foods because they’ve become more knowledgeable. This knowledge, thanks to Western Europe and North America, has led to a larger demand for healthy food options. The transformation of snack sizes and types comes as no surprise, then, especially as the trend continues to grow. If you are looking for healthy options for your breakroom, call 917-572-3671 today for a free, no obligation consultation, where we can help you with your breakroom needs. Does your New York City break room provide health information for consumers looking to follow healthy lifestyles? Everyone in the refreshment services business, whether they know it or not, is in the public health business. Which means every environment where consumers buy food should have health awareness information that is visible and accessible. The food industry has made a lot of progress in improving health awareness in recent years. The industry played a big role in embracing the nationwide campaign to fight obesity. The food industry took a responsible position and advised consumers to follow healthy lifestyles. As a result, some progress has recently been reported in reducing obesity. U.S. adult obesity rates decreased in four states – Minnesota, Montana, New York and Ohio – increased in two (Kansas and Kentucky) – and remained stable in the rest, between 2014 and 2015, according to The State of Obesity: Better Policies for a Healthier America, a report from the Trust for America’s Health (TFAH) and the Robert Wood Johnson Foundation (RWJF). This marks the first time in the past decade that any states have experienced decreases – aside from a decline in Washington, D.C. in 2010. In addition, recent national data show that childhood obesity rates have stabilized at 17 percent over the past decade. Rates are declining among 2- to 5-year-olds, stable among 6- to 11-year-olds, and increasing among 12- to 19-year-olds. Nonetheless, obesity rates are overall too high and industry has to continue to do its part to help consumers live healthy lifestyles. Health warning labels can steer teens away from sugary drinks, a new study suggests. The intention of these labels is not to eliminate the choice of choosing a sugary drink, but to be aware of the need to always make a sensible choice. “The average teen in the United States consumes at least one sugar-sweetened beverage every day, which could account for more than twice the recommended daily serving of sugar,” said Christina Roberto, an assistant professor of medical ethics and health policy at the University of Pennsylvania School of Medicine in Philadelphia. “The rate of sugar consumption in the U.S. is astounding and contributes significantly to obesity, type 2 diabetes, and other dangerous and costly health conditions,” she added. Warning labels about obesity do help teens make good choices. A recent online survey assessed the hypothetical beverage selections of more than 2,000 youngsters, aged 12 to 18. The drinks had either no label or one of five health warning labels. 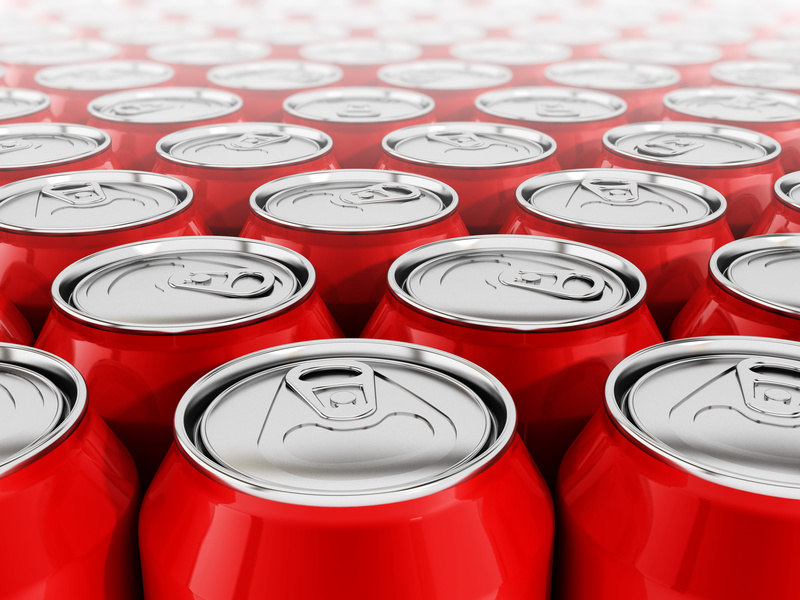 One label featured calorie content and four carried variations of a written warning that sugary beverages contribute to obesity, type 2 diabetes and tooth decay. While 77 percent of the participants said they would select a sugary drink if there was no warning label, participants were 8 percent to 16 percent less likely to select a sugary drink that bore such a message, the study found. Sixty-two percent of the participants said they would support a warning label policy for sugary drinks. The findings highlight the need for nutrition information at the point of purchase to help people make healthier choices, said study co-author Eric Van Epps, a postdoctoral researcher at the university’s Center for Health Incentives and Behavioral Economics. Every environment where food and refreshments are purchased should encourage consumers to follow healthy choices. Healthy lifestyles contribute to healthy workers, who are important to the wellness of society and industry. For more information about healthy snack and beverage options Healthy Vending NY at 917.572.3671 to discuss your customized break room solution. Do you wonder why major supermarket chains and national restaurant operators are adopting more “better for you,” natural and organic foods? Because consumers are demanding it. Earth Balance, a company that produces a line of plant-based foods, surveyed 2,000 consumers recently to find out what they are eating and why. The survey found more people are seeking “better-for-you” foods, especially dairy- and meat-free alternatives. Anyone who has been paying attention to the news knows the demand for “better for you” food isn’t new. What’s surprising, however, is that the interest keeps on growing in New York City. When asked what factors are most important to them when shopping for food, respondents cited buying local (37%), organic (33%) and non-GMO (30%). They are also more willing to try new better-for-you-foods. As the “better for you” market has expanded, it helps to know which types of products consumers are most interested in. This is just as important to employees looking for something to eat in a break room as it is to the homeowner shopping at the supermarket. The most-tried foods, according to the survey, are healthy snacks, dairy alternatives and oil alternatives. 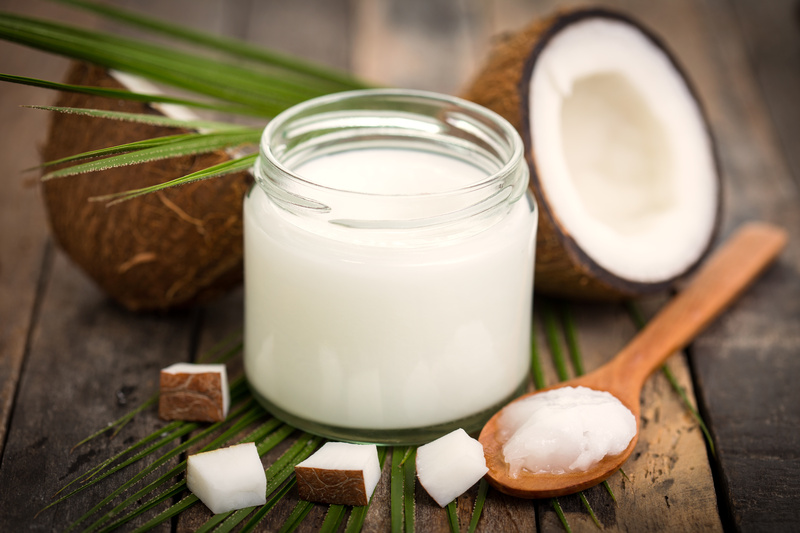 Dairy alternatives ranked as the leading better-for-you food, cited by 29% of respondents. Superfoods (e.g., chia, acai and quinoa), alternative snacks (e.g., gluten-free crackers, nut butters and Greek yogurt) and alternative oils (e.g., avocado, coconut and sunflower) tied for second place at 28%. Plant-based proteins, such as hemp hearts, lentils and spirulina, ranked third at 18%. 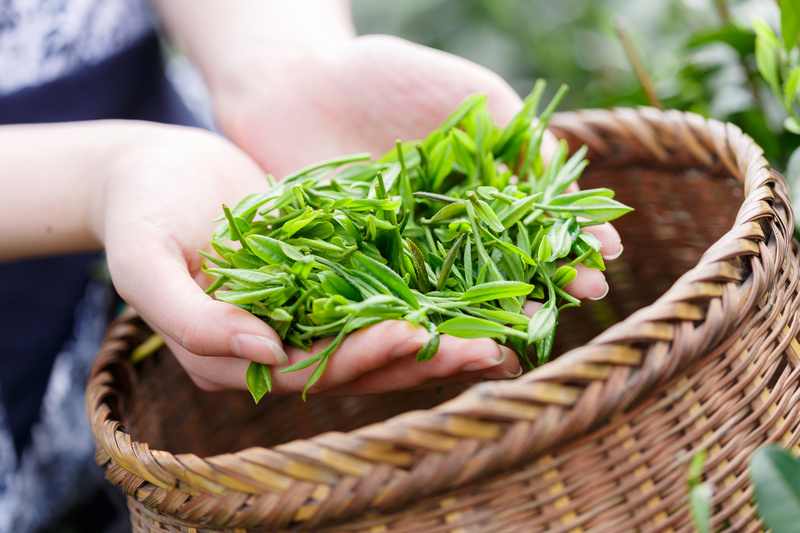 Among better-for-you foods, participants said the ones they consume most often are green tea (33%), dairy alternatives (31%), kale (21%) and quinoa (16%). The ones they consume least often are farro (2%), maca powder (3%), wheat berries (3%) and nutritional yeast (3%). Whole Foods Market cited “plant-based everything” as a top 2016 trend to watch. Earth Balance’s study bears out this prediction, showing consumers are more accepting of this newer food movement. Forty-two percent of consumers said they know more about plant-based diets now compared to five years ago. Forty-three percent said they are more likely to try plant-based alternatives today. 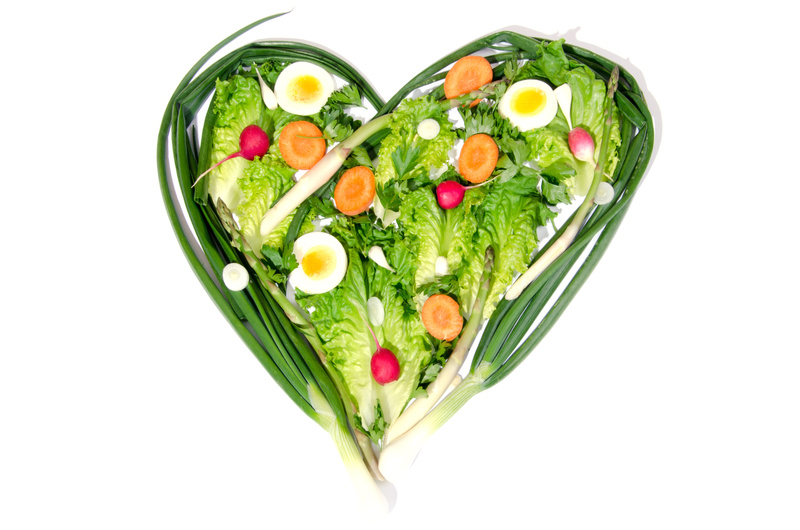 Thirteen percent reported trying a vegetarian lifestyle. What’s more, over half said they’ve tried dairy-free alternatives like dairy-free milk, cheese and yogurt. Sixty-three percent said they have tried plant-based protein alternatives, with tofu, meatless burgers and meatless hot dogs topping the list. Keep in mind that people in New York City want to see these products everywhere they choose to snack or eat a meal, including in the office break room. Price, cited by 64%, is the main reason consumers hold back from trying a new type of health food. Concern about not liking its taste or texture ranked second. Lack of store availability ranked third. That said, approximately a third are willing to pay an additional $2.00 or more for a better-for-you alternative to a traditional food item. While Americans are more open to better-for-you foods, they still love to snack. When asked which snacks they find most tempting, respondents ranked chocolate in the top spot (31%), followed by potato chips (16%) and ice cream (14%). Eighty-eight percent of respondents said they eat a snack that they know is not healthy at least once per day. If you are looking for healthy options for your New York City breakroom, call Healthy Vending NY at 917.572.3671 for a free, no obligation consultation, where we can help you with your breakroom needs. Water, Water Everywhere…So Why Not Drink It? 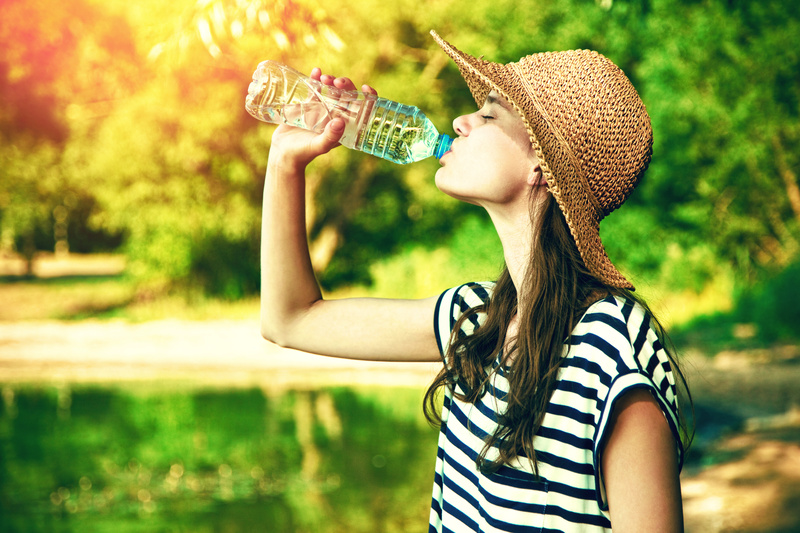 Everyone knows that drinking more water in New York City and less soda or sugar-sweetened beverages is a good idea for supporting a healthy lifestyle, but now a recent study published in the peer-reviewed journal, Nutrients, tells us just how beneficial this swap may be when trying to improve your health. 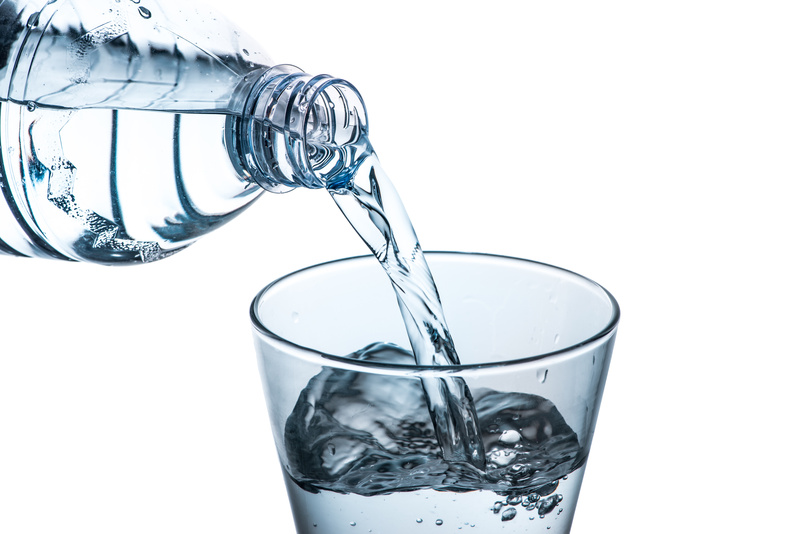 Partially funded by the Drinking Water Research Foundation and authored by researchers from both the University of North Carolina, Chapel Hill and Virginia Tech, this is the first study to use national nutrition surveillance data to report adult beverage intake patterns and predict calorie savings, weight loss benefits and other potential health advantages associated with drinking water instead of sweetened beverages. The study utilized dietary and health data from more than 19,000 adults from National Health and Nutritional Examination Surveys conducted between 2008 and 2012. 18 percent of adult calories come from beverages. Current public health recommendations suggest this be less than 15 percent. 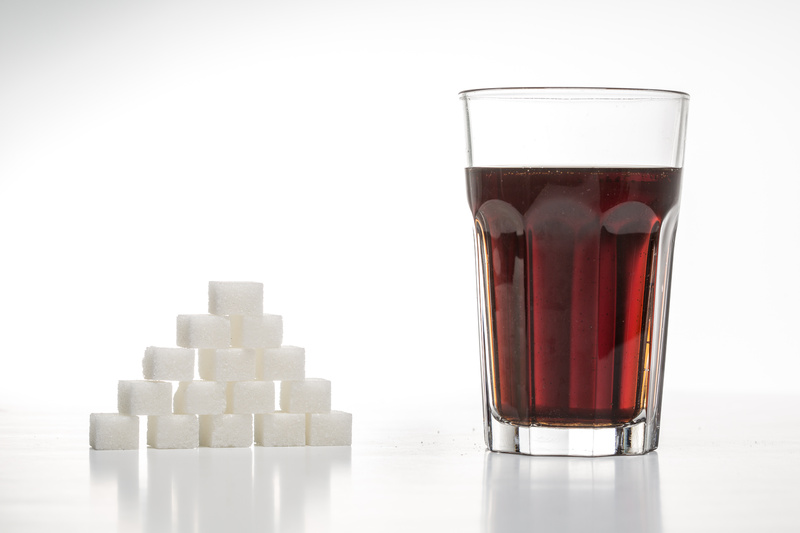 More than 40 percent of adults reported drinking at least one sugar-sweetened beverage per day. This exceeds public health nutrition guidelines for those trying to improve weight management and reduce the risk for chronic diseases, including heart disease and type 2 diabetes. Though Americans are drinking less soda, data still shows that calories from beverages is still exceeding public health recommendations. From these findings, recommendations were made regarding limiting added sugars to less than 10 percent of total calories. Also, it is advised that the more one can replace added sugar beverages with one with no sugar added, like water, the better for overall wellness. Though these conclusions aren’t surprising, the results of compliance are powerful. Most Americans know the benefits of eating healthy, even if it’s just losing some weight. In addition, many Americans want to eat healthier, but lack the motivation. 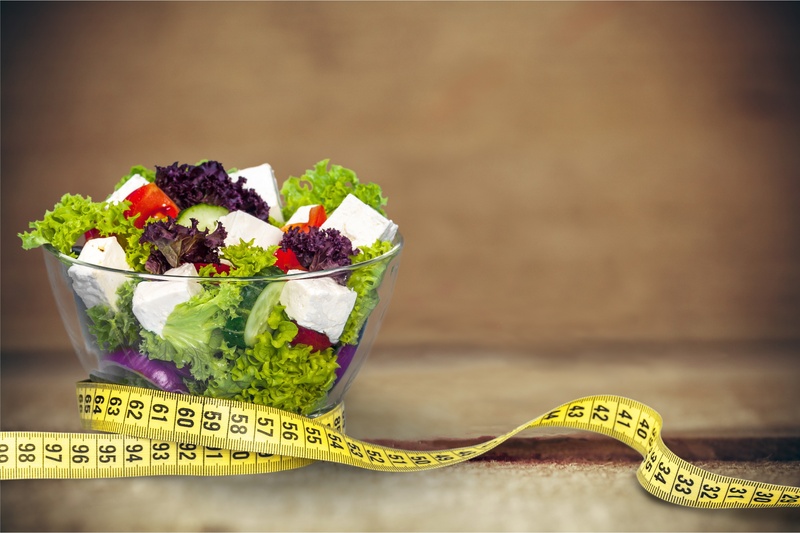 In fact, according to Mintel, the top reason for not eating healthy is lack of availability. The other reasons for eating badly includes cost, confusion, time, and taste. However, one of the easiest ways to offer healthy food is in your New York City office. In fact, 73% of consumers are willing to pay more for snacks with high quality ingredients. Additionally, 50% of consumers said they would buy more from specialty snack shops if healthier snacks were offered. Millennials, in particular, would be motivated by healthy snack options. Many dine at snack shops to treat themselves (60%) and as a way to gain an energy boost (38%). In addition, 71% of millennials say snacks are best eaten on the go. According to Diana Kelter, a Foodservice Analyst at Mintel, millennials are “America’s primary snacking generation.” As a result, snack shops acts as a great destination for quick treats in their fast-paced lives. They are also very conscious of the way they spend their money, according to a study by T. Rowe Price. For those over 18 years old, 75% of millennials track their expenses carefully and diligently, while 67% save “by any means necessary.” This means their monetary choices are made consciously. Everyone benefits in healthier food choices. Healthier food intake leads to less half days, due to doctor appointments. The benefits for healthy eating does wonders for the body and brain and actually saves consumers money. In fact, adding produce and lean meat adds $1.50 a day to food costs, but you save $2.71 for every dollar spent by preventing health problems. For this reason alone, loyalty programs would be a worthy endeavor. If millennials decide to spend their money, it needs to be worthwhile in their eyes. If the product is convenient, wallet-friendly, clearly beneficial, timely, and tasty, what’s not to like? If food is available in your New York City office, healthy, and inexpensive, it would solve many reasons Americans don’t eat healthy. Finding a way to incorporate savvy spenders in a generation of happy hour attenders could be the best decision for businesses and consumers alike. Dark Chocolate – New Discovery, Too Good to Be True? What could be the next big secret to walking farther and longer on the treadmill? Would you believe us if we said dark chocolate? A recent pilot study in Italy concentrated on 20 people ages 60-78 who suffer from peripheral artery disease, a narrowing of the arteries that carry blood from the heart to the legs, stomach, arms and head. The reduced blood flow as a result of this disease can cause pain, cramping or fatigue in the legs or hips while walking. The patients who participated in the study walked on average 11% farther and 15% longer, two hours after eating 40 grams of dark chocolate than they did before eating the standard size American candy bar. 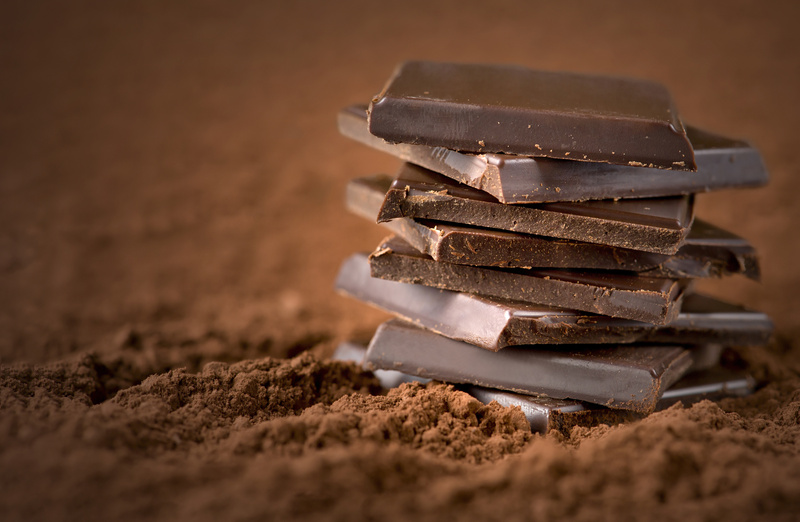 The dark chocolate used in the study had a cocoa content of more than 85%, making it rich in polyphenols which researchers believe improve blood flow to the legs by affecting biochemicals that prompt arteries to widen. But as great as this sounds for all of us with a sweet tooth, don’t get too excited. 11% father was on average only 39 feet and 15% longer was on average only 17 seconds. Dr. Mark Creager of the American Heart Association cautions that as interesting as these findings are due to other health concerns related to consuming too much chocolate including: diabetes, obesity and high cholesterol he does “not recommend that people eat chocolate bars to improve their walking distance.” To Dr. Creager’s comment we would also add, that it takes a lot longer than 17 seconds on a treadmill to burn off a candy bar. 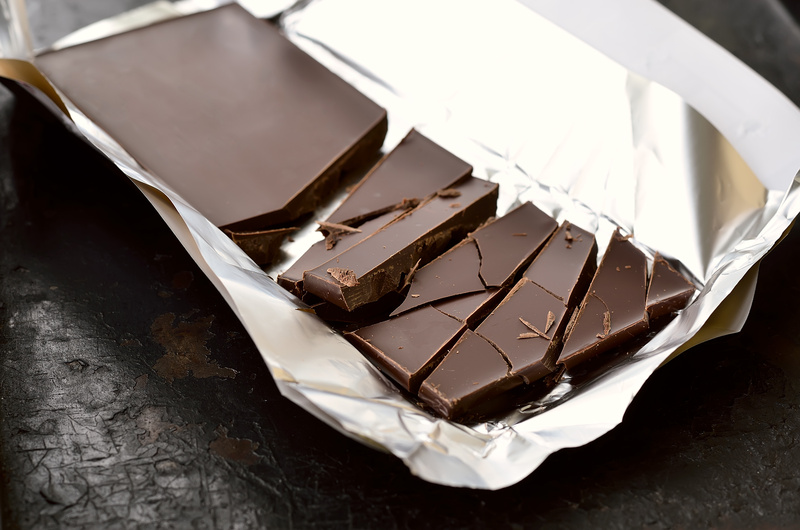 In short, although dark chocolate might add a few seconds to your workout, it doesn’t add enough to rationalize eating a candy bar before the gym. Interested in adding healthy snacks to your breakroom?Contact Healthy Vending NY at 917.572.3671 and we’ll be happy to show you what’s available in New York City. Identifying that organic sports drinks options were lacking in the market, Honest Tea is launching a new line of organic sports drinks called Honest Sport. Piloted at the Pentagon City Whole Foods Market in Arlington, Va., on June 29, 2016, Honest Sport is currently available in 16.9 fl. oz. bottles of lemon, orange or berry flavors, and each bottle includes only 100 calories. Like all other Honest products, Honest Sport is also certified organic. According to Seth Goldman, co-founder of Honest Tea, this new product is offering a delicious, yet organic sports drink option to cater to athletes looking for a healthier option for mid- or post-workout hydration. Like other popular sports drinks, Honest Sport delivers a balance of electrolytes and carbohydrates to rejuvenate athletes after rigorous activity, conforming to The American College of Sports Medicine’s guidelines for sports drink formulation, while being made with simple, premium organic ingredients. 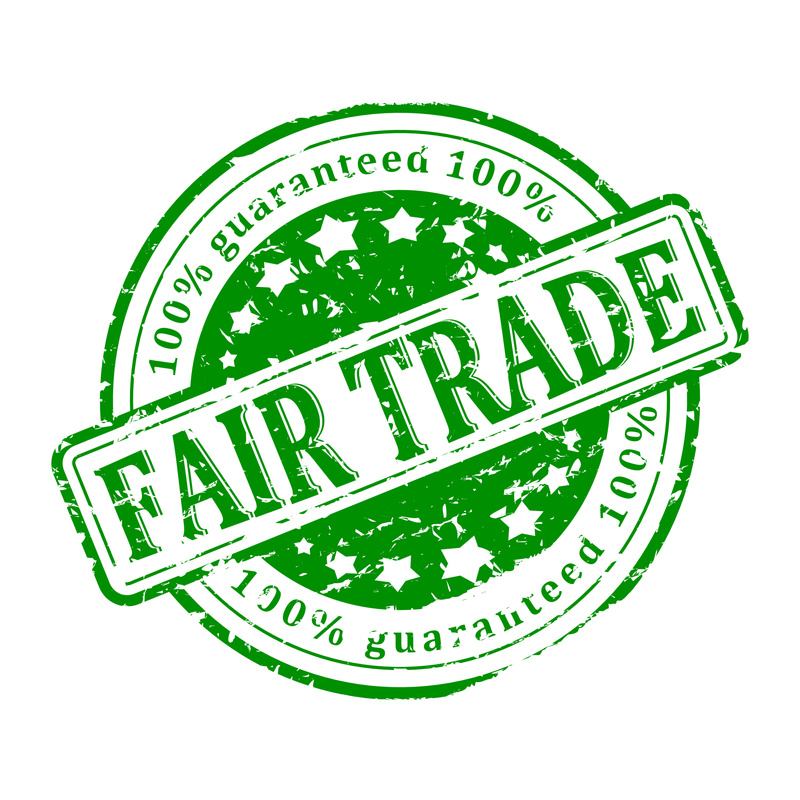 In addition to using only certified organic ingredients, the new product is sweetened with Fair Trade Certified™ sugar. Therefore, with every purchase of Honest Sport, a contribution is made to Honest Tea’s Fair Trade sugarcane supplier community in Paraguay. These contributions go toward the promotion of safe, healthy working conditions for the local labor force, while supporting practices that protect the environment. The introduction of Honest Sport offers a compelling new product for New York City vending consumers, as the sports drink category continues to increase in popularity as well as healthier vending options. Also, it’s coming in at a reasonable price point – $1.99 per bottle – which is certainly not price prohibitive for the typical organic food customer. This product will continue to be introduced at other Whole Foods Market locations in the Mid-Atlantic region and other select regions throughout the remainder of 2016. No other details are available at this time, but we’ll keep you posted once we’re able to add it to our product lineup. For more information about healthy snack and beverage options for your New York City breakroom, contact your New York City vending partner Healthy Vending at 917.572.3671 to discuss your customized break room solution.